Army Men Strike is an MMORTS (massively multiplayer online real-time strategy) kind of game, similar to the kinds of Clash of Clans. In fairness to Army Men Strike, it is far from being just another re-skin of the famed game (CoC). One of the great aspect of this game is that its theme perfectly fits the gameplay. Even if not everyone did get a hold of these plastic toys in their childhood, the reference is surely not that hard for anyone to relate too. The developers are smart to pick such a simple motif, as it imparts a perfect setting to give players the very creative and imaginative world -- which at the same time, effortlessly makes it great war-themed game. Although fashionably late at the onset of similar games, having more than 10,000,000 downloads, proves that it still is one of the best out there in its genre. 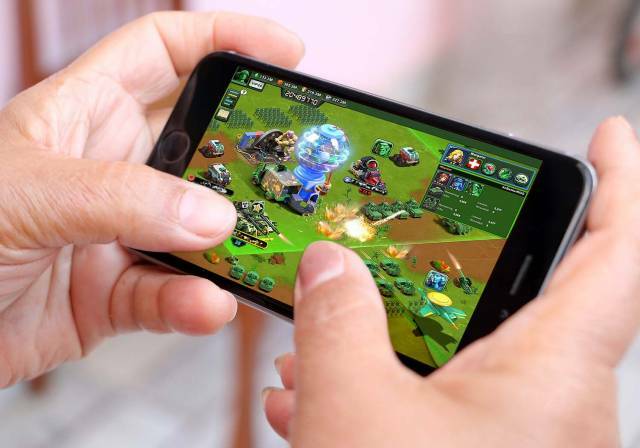 Additionally, this multitude of players equates to the thousands of attendants, or online competition that is surely available anywhere, anytime of the day. In the game, you'll be a Captain, leading an army of these green plastic soldiers housed inside your very own Headquarters. The different parts of the house (in the game) will basically become the make-shift multiple world setting where players get tossed in. Here, you'll perform your battles with rogue toys, chase the tan-colored evil army, and other players in the game world, or simply explore and scour for loots to expand the Resources at your disposal. Like many other MMORTS games, you get to grow your army according to your preference, as well as be given the chance to put up an effective defense layout and fortifications to your base from multiple variations and combinations of available units. Apart from these, you may also enlist special characters (called Officers in this game) that'll lead your army to victory similar to that of "Heroes" in other similar games. True to the spirit of strategy games, you'll have to literally strategize to win in this game. Building your roster of Officers, promoting them, as well as strategic deployment of your Troops in the Battlefield will heavily influence the outcome of every game. With an effective strategy, it is plausible to defeat an enemy troop much larger than yours. 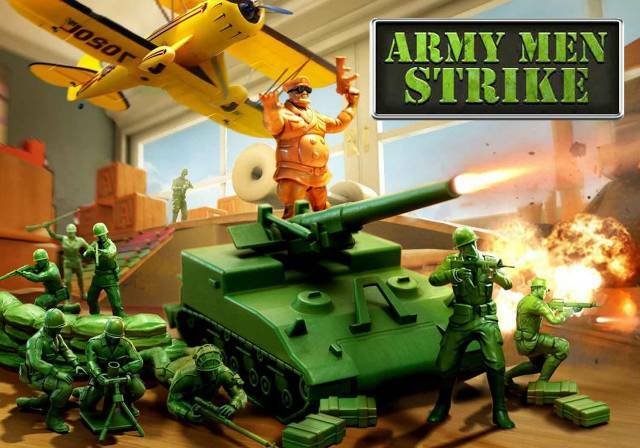 PLEASE NOTE: Army Men Strike is free to download and play, although some game Items are also offered to assist you in the game (in a very helpful manner of course) which are purchased for real money.